The facts are that approximately 50 million men and approximately 30 million women suffer from male/female pattern baldness or thinning hair. 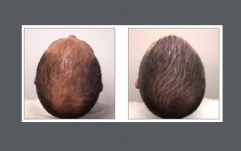 Many potential patients shy away from (or are not candidates for) the traditional “strip method” of hair replacement because of the slow recovery time, the loss of feeling at the incision site, the tiny linear scar on the back of the head, or the amount of post-operative pain involved. Hair Restoration should be unnoticeable to all but those you tell. Dr. Rosenstein is excited to announce our newest offering , NeoGraft®. 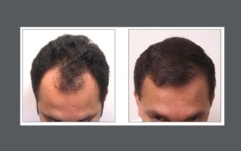 NeoGraft® introduces the “state-of-the-art” solution for hair loss . 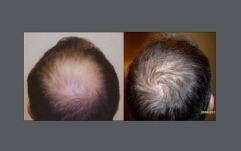 This game-changing technology automates the Follicular Unit Extraction (FUE) method to give patients more natural looking results with minimal downtime, no linear scarring and no stitches.